Today I thought that I'd share with you my driving companion, my knitted prawn. 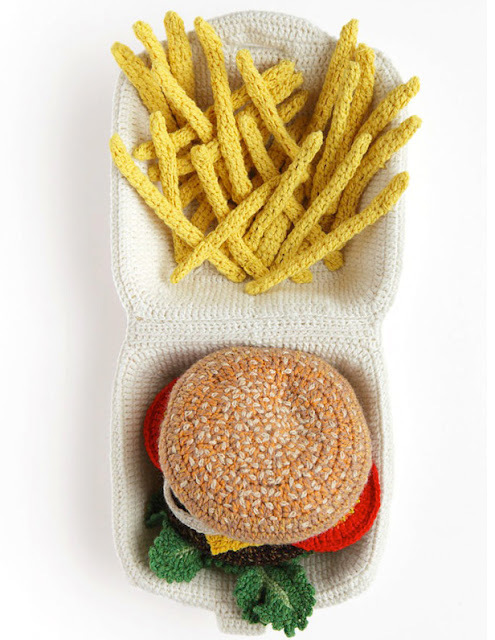 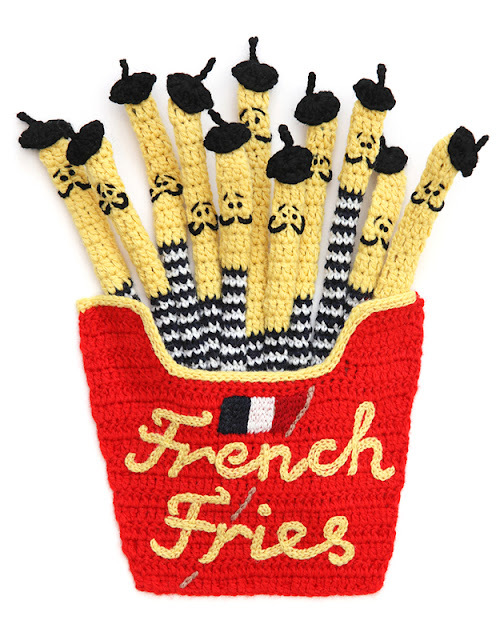 http://www.cardigan.ltd.uk/kate-jenkins.php who creates some fantastic crocheted food with a twist of humour. 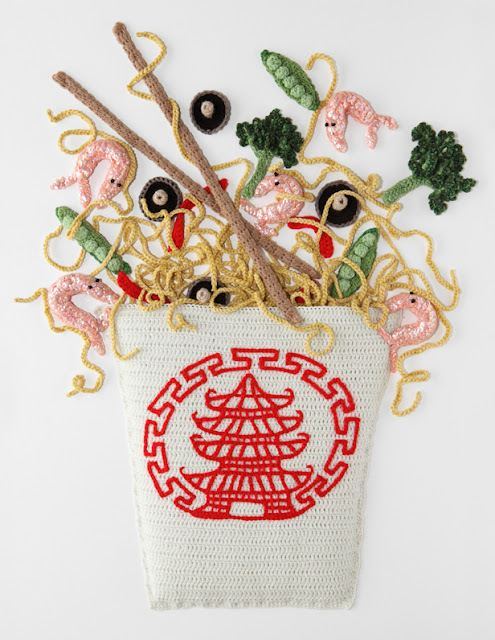 I've provided some of my favourite work of hers below. 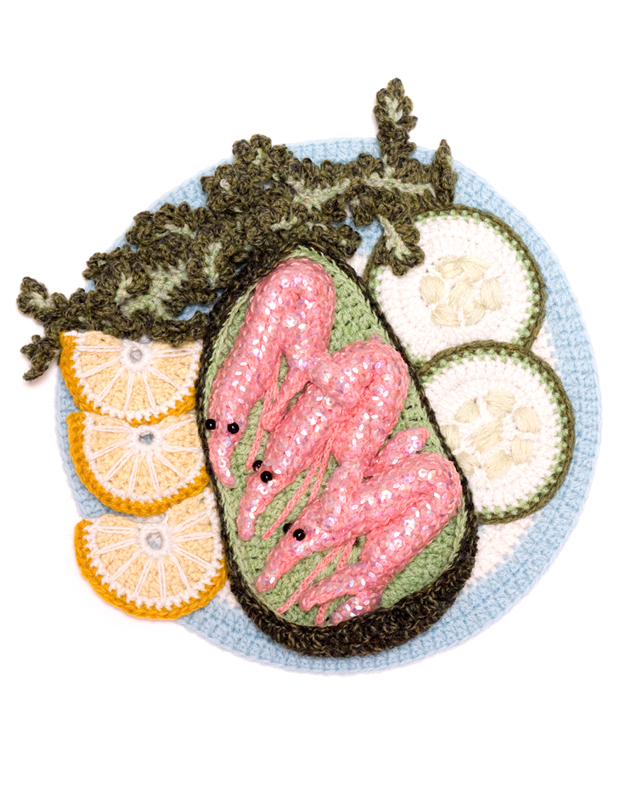 Avocrochet Prawn, i love the added sequins! I think Kate has just managed to re-ignite my interest in knitted and crocheted foods! 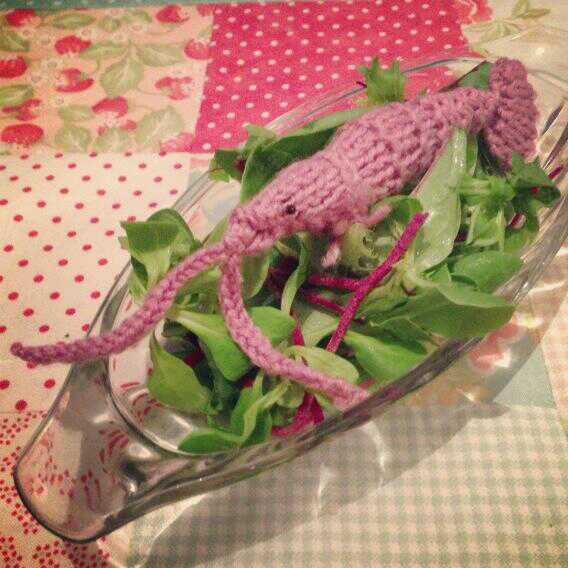 Watch this space and see if my prawn gets some companions soon!